We’re so lucky to be living in a city like London. There are only a few major art centres throughout the world and London is one of the best. We get all the major exhibitions and shows as well as the most phenomenal permanent collections. The broad variety of art that London offers is overwhelming and there’s everything from prehistoric, classic, contemporary and right out there modern explorative work. Some of our favourites at the moment and we really encourage you to go and explore and share your finds with us too. 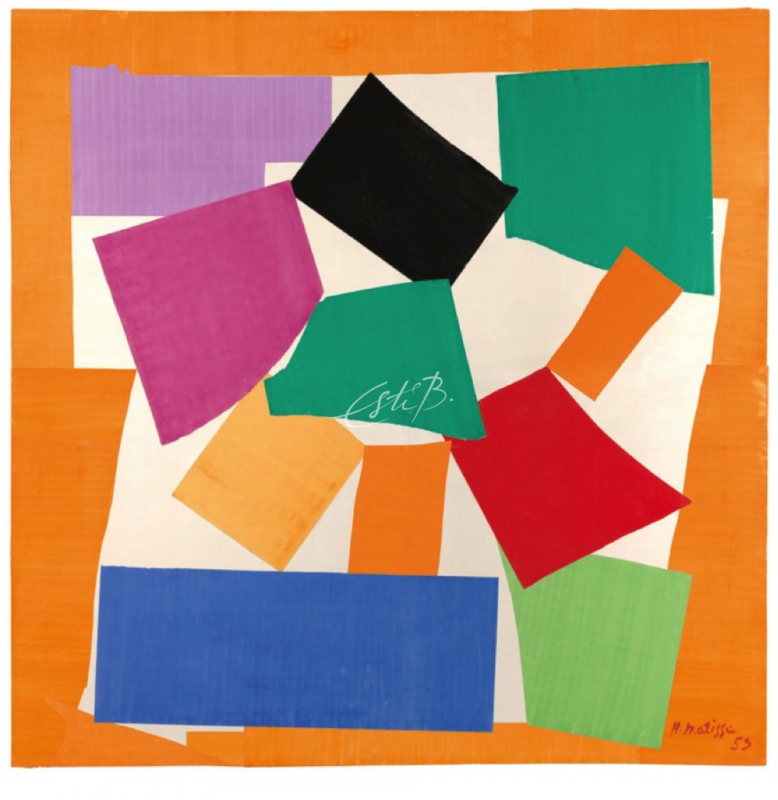 The iconic cut-outs by Matisse are on display at the Tate Museum. These bold and colourful works by one of the giants of the Modern Art scene are a must see. London is the first city to host this exhibition before it moves across the pond to the MOMA in New York City. Visit Matisse at the Tate. It must be Matisse season at the moment as the Royal Academy is running an exhibition, Matisse in the Studio, too. As much as traditional art inspires us, fashion is also a huge influence on our work and it’s very relatable to everybody. We all love to wear beautiful clothes. The latest fashion exhibition at the Victoria and Albert Museum is Balenciaga: Shaping Fashion. It’s a fascinating look at how Cristóbal Balenciaga’s exquisite craftsmanship and innovative designs shaped modern fashion. There are over 100 pieces to explore that have been crafted by ‘the master’ of couture, his protégées and contemporary fashion designers working in the same innovative tradition. 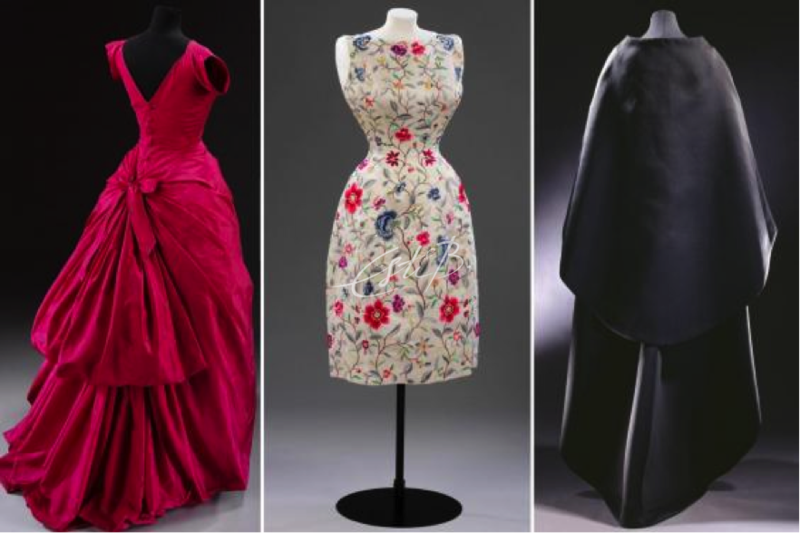 Visit Balenciaga: Shaping Fashion at the Victoria and Albert Museum. Entrance to the RA 2017 Summer Exhibition, Edward Lucie-Smith. 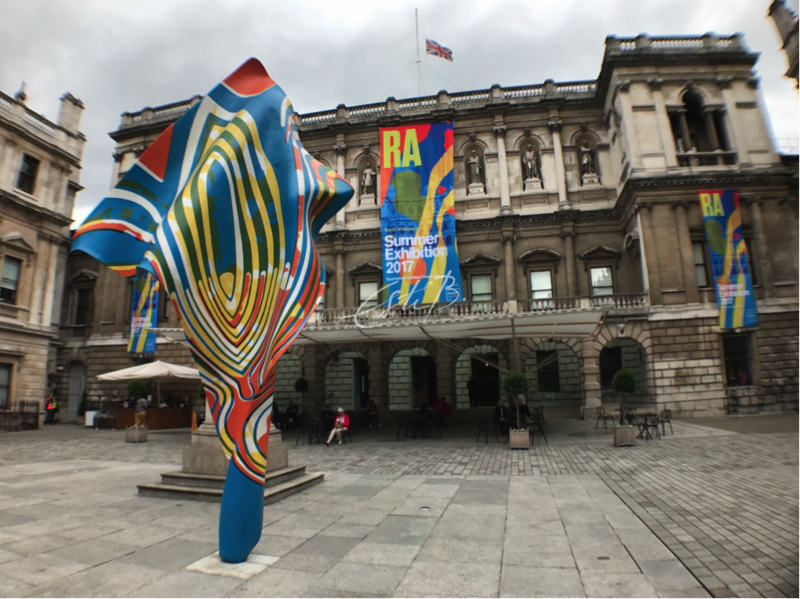 The annual Summer Exhibition at the Royal Academy is a regular on our calendar, it’s almost reached its 250th anniversary. It’s always a treat to explore the Academy with over 1000 works on display. It can be very overwhelming, so opt for a tour or a personal guide to help you explore the halls. Do look out for pieces that are affordable, there are quite a few and if you see the orange sticker on a piece that you like, do enquire as there are often prints of the same piece that you can purchase. 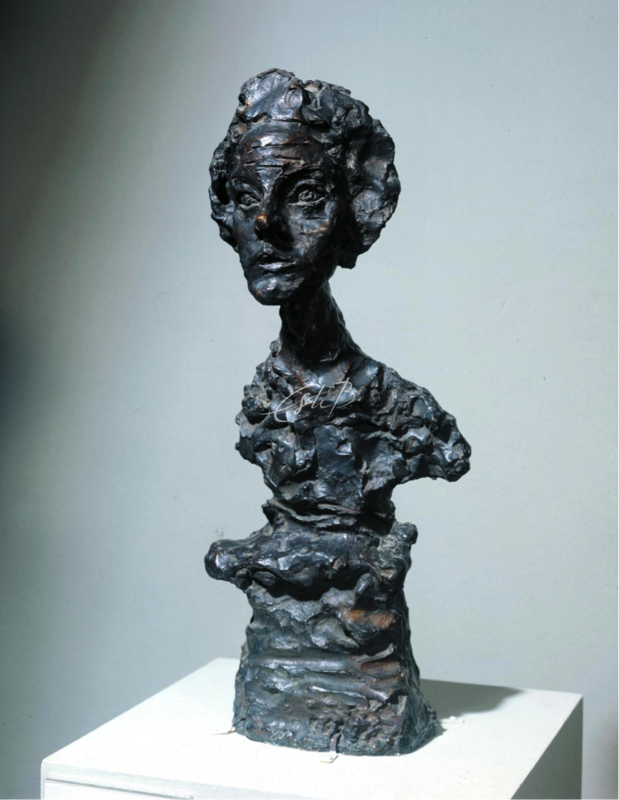 Alberto Giacometti, Bust of Annette IV 1962, cast 1965. Tate. The Tate Modern is currently showing the UK’s first major retrospective of Alberto Giacometti for over 20 years. Giacometti’s distinctive elongated figures are some of the most instantly recognisable works of modern art. This exhibition reasserts Giacometti’s place alongside the likes of Matisse, Picasso and Degas as one of the great painter-sculptors of the twentieth century. You get to enter his world through this exhibition to explore his unique way of expressing himself. Visit Giacometti at the Tate Modern. Apart from the exhibitions mentioned above, The Design Museum, newly located to High Street Kensington is well worth a visit, not only for the superb exhibitions on its premises, but also to admire John Pawson’s iconic addition to the London architectural scene. Must see’s include Hella Jongerius: Breathing Colour on how colour behaves and California: Designing Freedom on how Silicon Valley’s technical revolution changed our lives, with the driverless Google car on display. 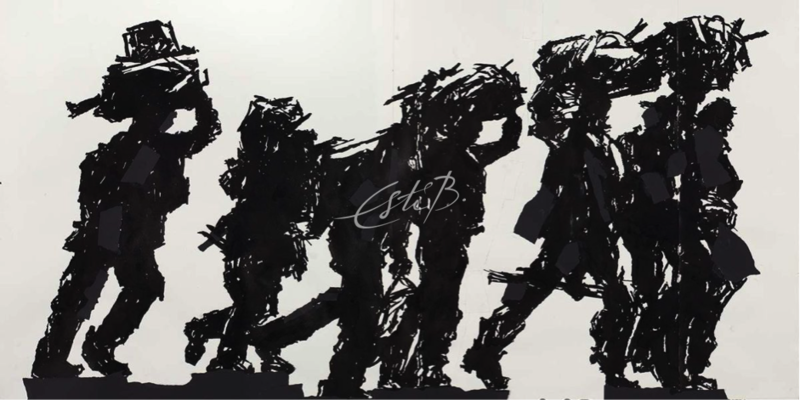 William Kentridge. Dessing pour Triumphs and Laments (Procession of Migrants), 2016. For those of you who might find yourself popping over to another favourite city, Paris, you cannot miss this incredible exhibition at the Fondation Louis Vuitton: Art/Afrique, Le Nouvel Atelier. The Foundation has devoted its entire gallery and events programme to Africa and its art during the summer season. As we know, African-inspired interiors have been at the forefront of interior design over the last year and it’s great that Louis Vuitton is celebrating the incredible art and craftsmanship that originates from the African continent. Visit Art/Afrique, le nouvel atelier at Louis Vuitton Foundation. Last but definitely not least, is the DIOR exhibition in Musee des Arts Decoratifs in rue de Rivoli. Plan on a good 3 hours as the curators of this exhibition spared no details from this giant fashion icon’s professional life. The couture, however, is as fresh as the ones you find in today’s Vogue magazine.